229 Command/Utility/Fire Police was a 2006 Chevrolet Impala LTD. It started out as a police vehicle for a local community before it was changed to a fire command vehicle for that same community. It served Mt Zion to assist with road closures and EMS assists. It was sold to a private citizen. Engine 229 Engine 1 was a 1984 E-One that was on loan to us from the PA Department of Conservation and Natural Resources. This particular engine was the first engine to respond when the space shuttle Challenger was lost due to an explosion. Due to pump issues, it was given back to DCNR in 2016 after a fairly short run at Mt Zion. 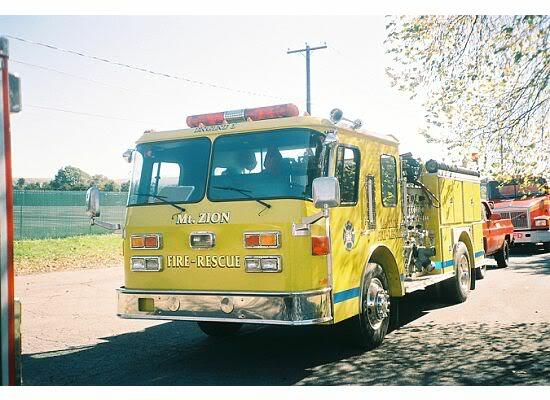 Rescue 229-1 "Road Warrior" A 1995 International Rescue Pumper was given to Mt Zion through the PA Department of Conservation and Natural Resources as military surplus. It was originally at Fort Indiantown Gap. It was sold in 2016 to a fire company in Argentina. 1986 FMC The 1986 FMC was a 1500 GPM top mount pumer with a 500 gallon tank. This truck went out of service due to mechanical issues. 1988 Volvo White Tanker 1 was an 1988 Volvo White which was finally takenout of service when our 2009 Rosenbauer Mack Granite was placed into service. This truck was capable of transporting 3000 gallons of water and had a 500 GPM pump. It was sold to Latona trucking Company for construction use. We understand that it has since been permanently retired. 1976 Ward LaFrance This 1976 Ward LaFrance was in service with our department for a few short years. It had a 1250 gpm pump and a 500 gallon tank. 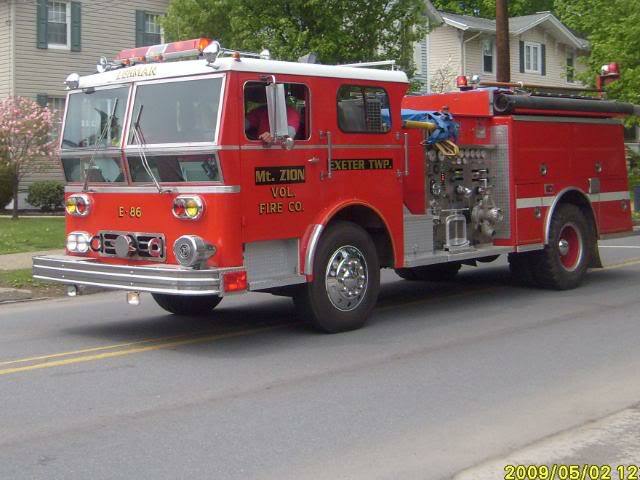 The apparatus was purchased from Lehman Township and was in service until the FMC arrived. This truck is currently owned by a private collector. 1989 E-One Big Bird was an 1989 E-One which was placed out of service due to a crack in the pump housing. Big Bird was sold to the Irem Shiners as a parade piece. It can often be seen at local parades. 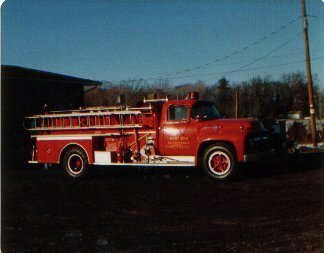 1983 American LaFrance Engine 7, as it was known by it's previous owner, West Pittston Hose Company #1, was our primary engine for a number of years. It carried 500 gallons and could pump 1000 GPM. 1983 Mack This Brush Tanker was a 5-ton military surplus truck given to us by DCNR Forestry. The two 600 gallon tanks were reused from the old brush tanker. The truck carried a 500 GPM portable pump. 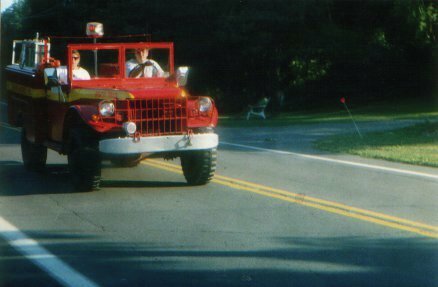 1977 Dodge ​This 1-ton truck served our town for several years as a brush truck. 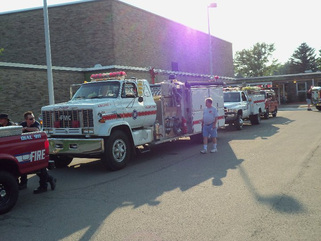 DCNR Forestry provided the truck, we converted it into a brush truck. 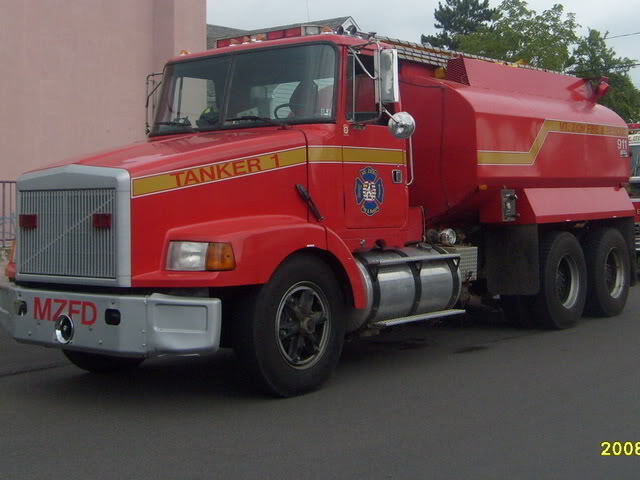 1978 International ​This all-wheel-drive tanker was purchased from the Regional Equipment Center in Nanticoke. It had served in the military as a fuel tanker. We converted it to a 1200 gallon fire tanker for on and off-road use. 1977 International The Squad was utilized as a brush truck, utility truck, multi-purpose truck. It was eventually sold off to a private owner. 1967 Hahn The heart and sould of our department for many years was the 1967 Hahn with double Q2B sirens. The Hahn, aka Slimer, was purchased from Hummelstown, PA. 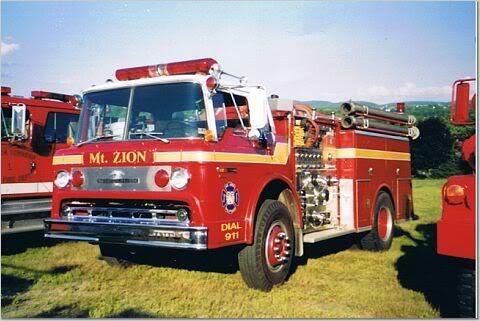 Within a few hours of arriving at Mt Zion, the Hahn responded to it's first of many fires. Slimer carried 750 gallons with its 1250 GPM pump. 1956 Dodge This military surplus 1956 Dodge was utilized as our brush truck. 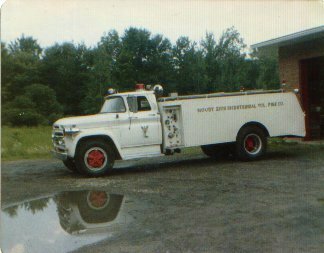 It was returned to DCNR shortly before we received a newer 1978 Dodge 1-ton truck from DCNR, which we converted to a brush truck. 1956 Ford This 1956 Ford engine was one of the two original pieces of the department. 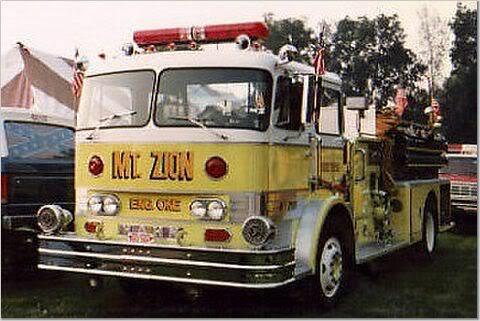 After many years of hard work and sweat, the Mt Zion Bicentennial Volunteer Fire Company was established, this truck was placed into service. It may not have seemed like much, but it protected Harding for many years. 1963 Tanker This GMC was "our first hydrant." Due to the limited water supplies, this truck was used to assist the 1956 Ford Engine with fire emergencies. It carried 1500 gallons of water with its 500 GPM pump. Sometime in the 1980s, a new steel 2000 gallon tank replaced the rusting 1500 gallon tank.